Luckily most of their trees made it through the hurricane earlier this year with minimal damage. 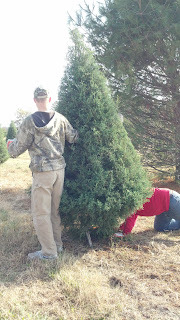 We picked our tree and the guys cut it down for us, trimmed it and loaded it in the truck. 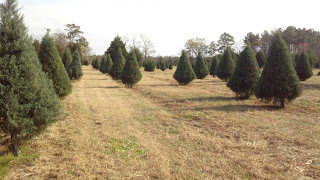 Fresh cut trees are great. Not only are we supporting our neighbors, but we didn't have to wait for the branches to fall and settle after we got it home. 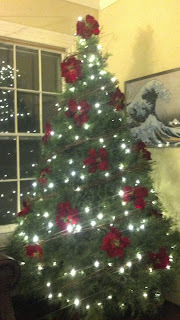 Within an hour of it being cut, it was in our living room lit up and decorated. Happy Holidays!